^ 沈旭暉. 解構中國夢: 中國民族主義與中美關係的互動（1999–2014）. 香港中文大學出版社. 2015: 190. ISBN 9789629966423. ^ 毓民特區：頭腦發熱　言論反動-黃毓民 立法會議員. 2015-04-07. 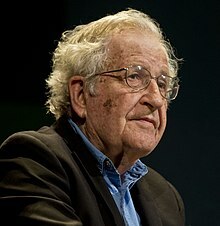 ^ Noam Chomsky. The New War Against Terror. chomsky.info // Delivered at the Massachusetts Institute of Technology. October 18, 2001 [2013-09-14]. ^ The Legitimacy of Violence as a Political Act?, Noam Chomsky debates with Hannah Arendt, Susan Sontag, et al. ^ 台灣立報 2013-02-08 ：海珊與曼德拉 互联网档案馆的存檔，存档日期2013-12-10.